The journey to Lan Kwai Fong begins! 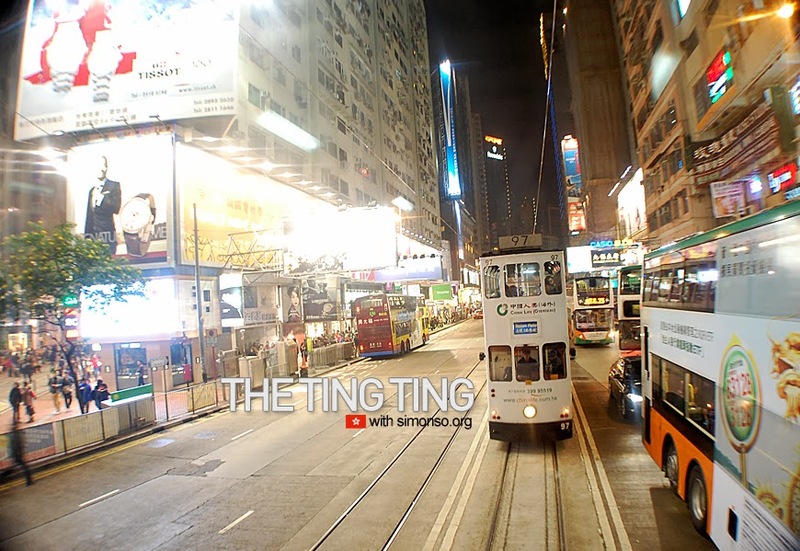 I've never tried taking a ride on those "ting ting" tramps and always wanted to try and Emil will always say no as those tramps are open aired and you may just consume more dust then anybody else, Haaaaa. This time he decided to give in and do the Tinggggg tinggggggg! While we wait at the tramp stop, quickly run to the middle of the road and take photoooooo! Lol look at Emil, It wouldn't be funnier without him around hehe. 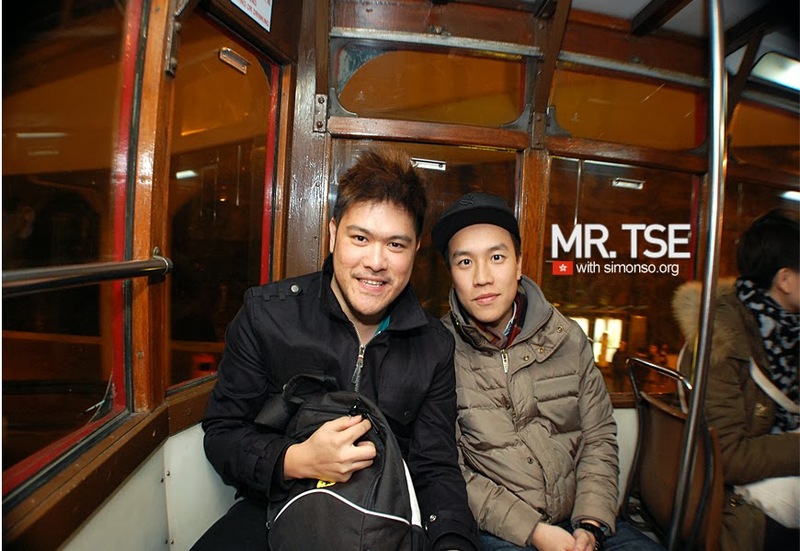 Met a new friend in the group, Michael Tse. I think he is related to Cammi Tse. Ohhhhh what?!!?! Anyway he works with TVB so that explain how busy body the gf and Winnie is interrogating him about TVB stars. Tsk tsk tsk. 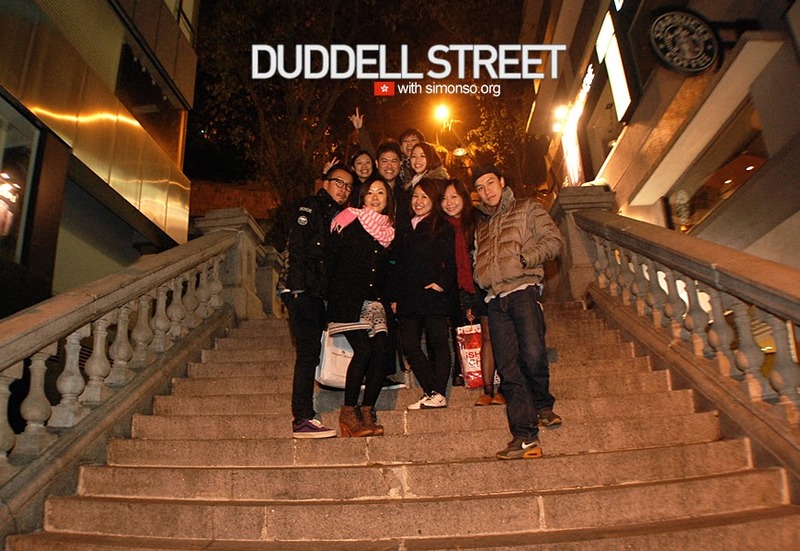 The guys was kind enough to bring us to duddell street, the famous stairs in Hong Kong. Most of all the TVB show shoots here.